When you're ready to present your business idea to your team or investors, you need a pitch presentation that will impress. You need to communicate your idea succinctly and professionally. 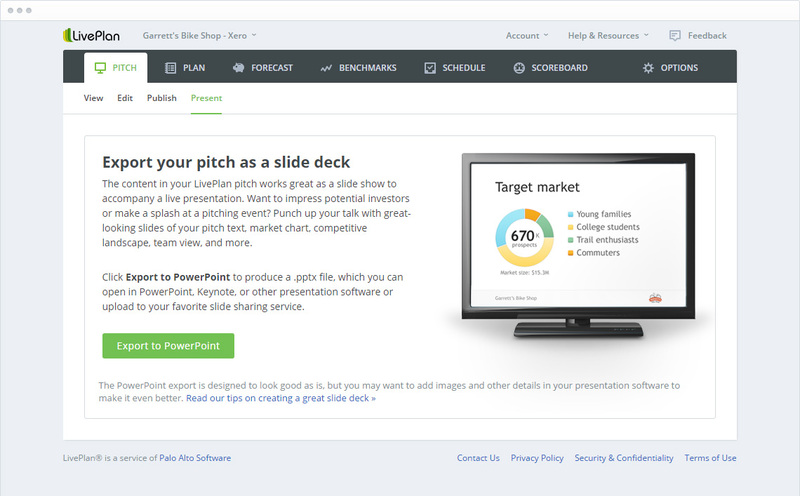 With LivePlan, you can easily export your one-page pitch to PowerPoint for a winning presentation. LivePlan will export your key business strategy, competition, financial highlights, team, and resources into a presentation that you can modify and customize to make your own.